First off, Merry Christmas! I always think anything that involves Christmas needs a little sparkle or shine, so I've been using a lot of shimmer ink around the holidays. 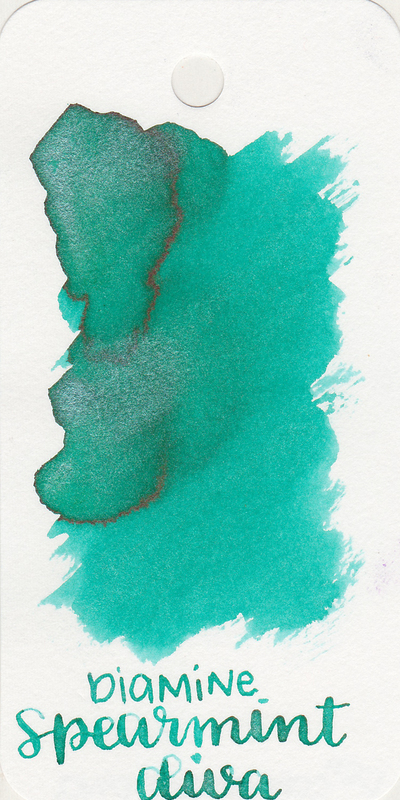 So let's talk about shimmer inks and what I've learned so far about their use. 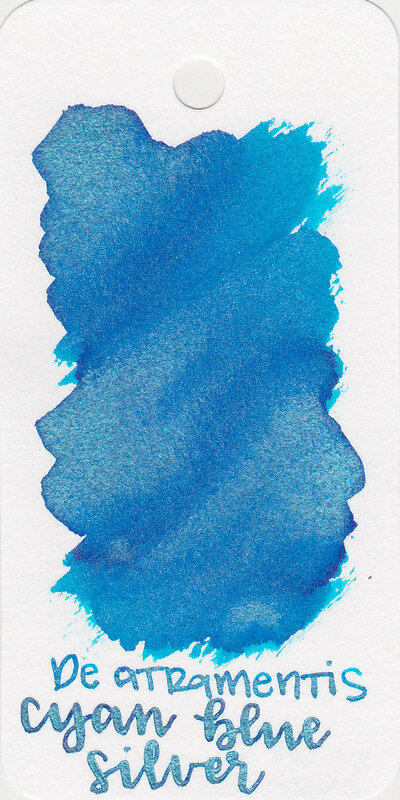 Shimmer inks have become popular in just the last few years, and a lot of ink companies are jumping on the bandwagon. 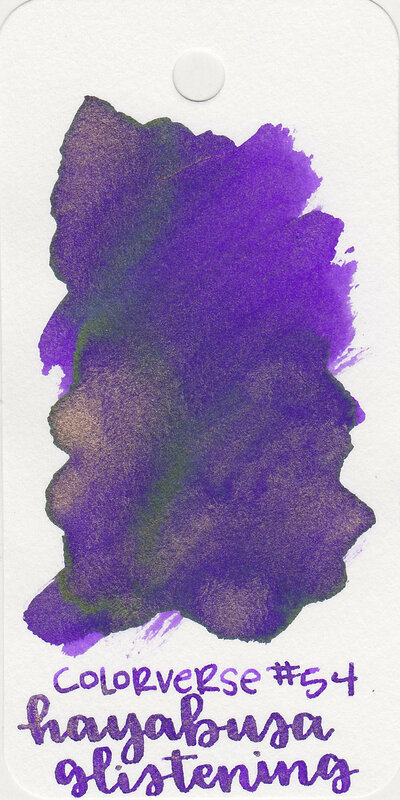 As of the end of 2017, J. Herbin, Diamine, De Atramentis, Nemosine, PenBBS, and Robert Oster all have shimmer inks. 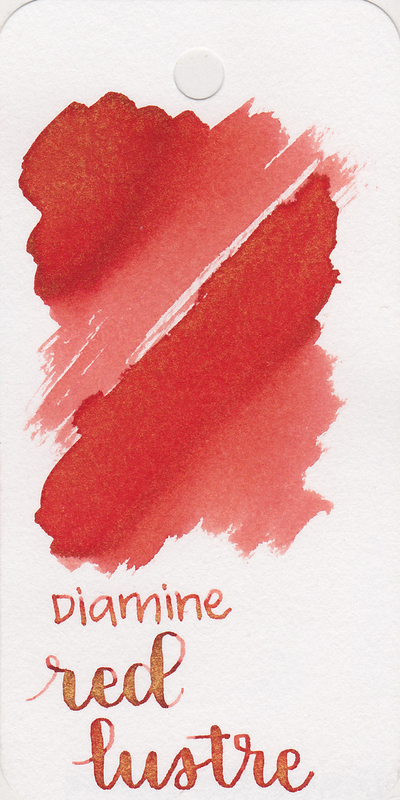 So far I have only reviewed Diamine and J. Herbin shimmer inks, but I'm looking forward to trying shimmer inks from other brands as well. 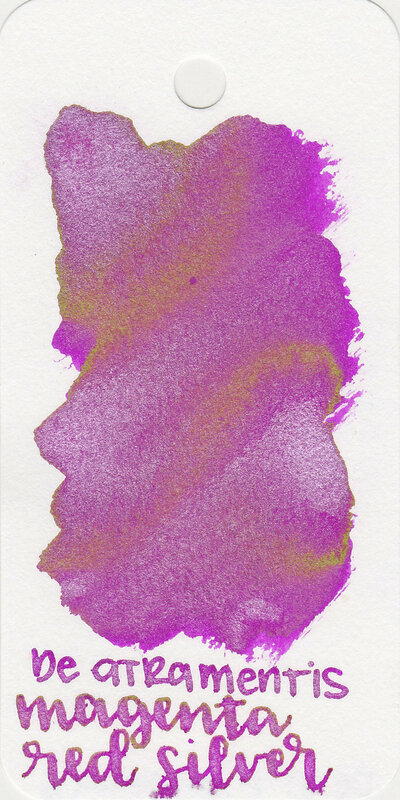 Let's first talk about what shimmer inks are. 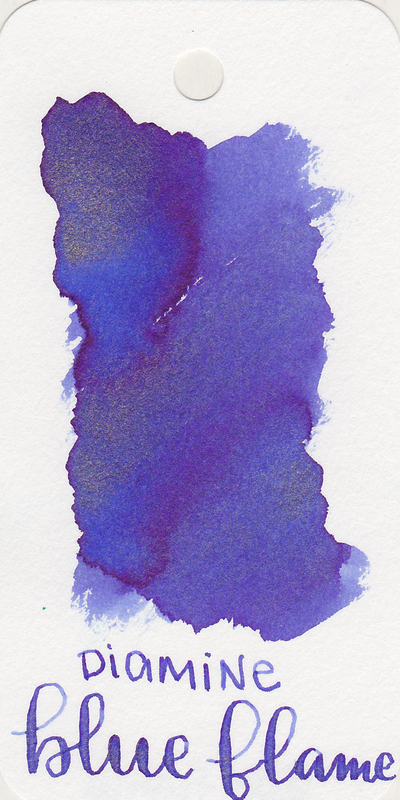 Shimmer inks are inks that have small glitter particles added to the ink. 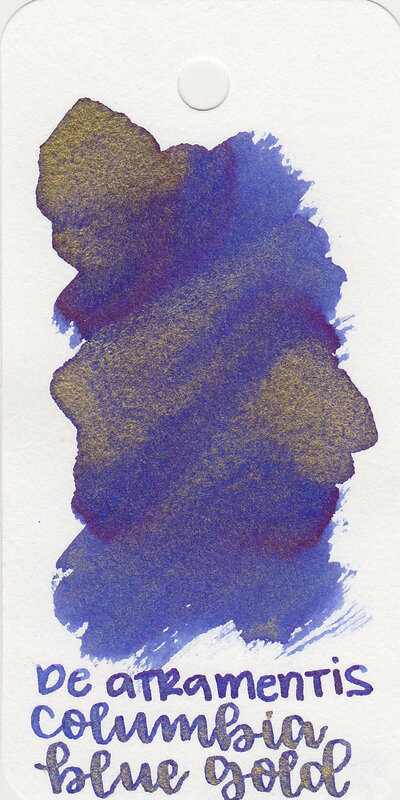 Shimmer is different from sheen, which is when an ink shows off a shine of a different color than the ink itself. 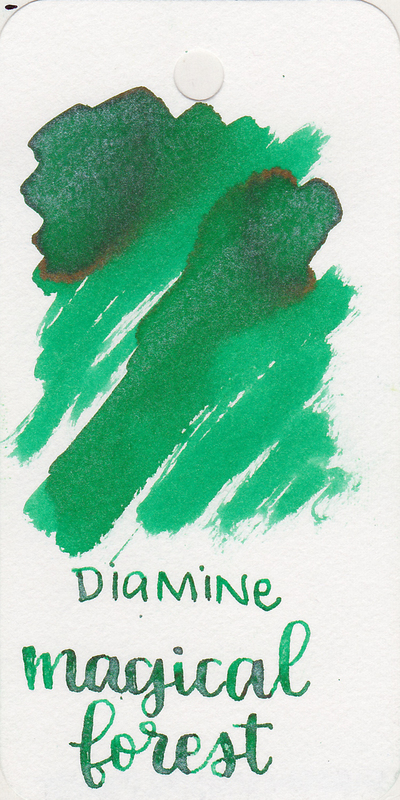 Let's look at some examples by Diamine. Citrus Ice has silver shimmer, but does not have any sheen. 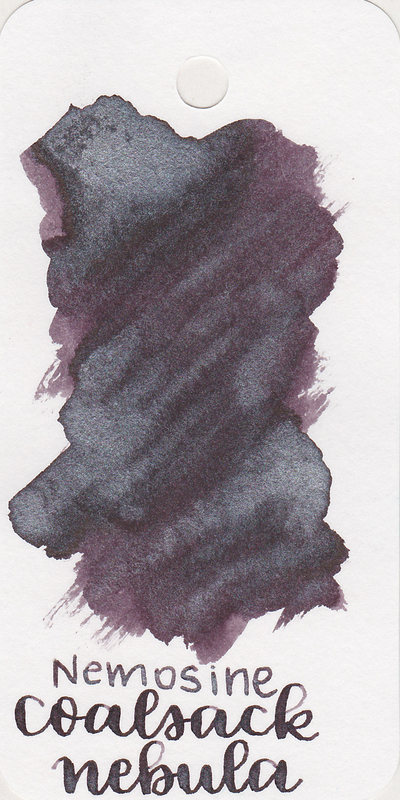 Arctic Blue has silver shimmer, but also has some pink sheen. 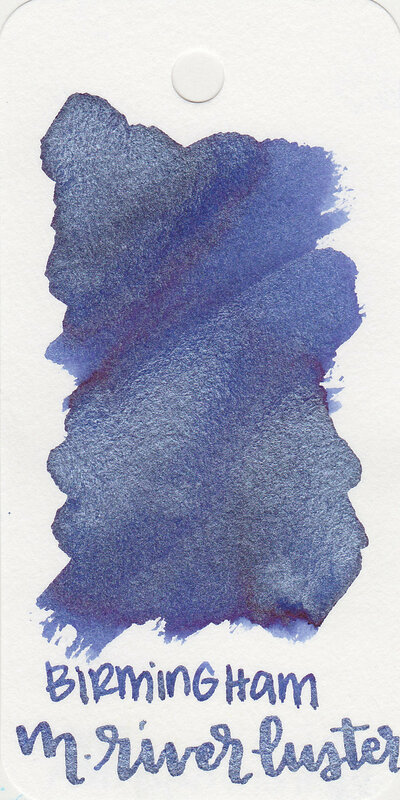 Oxford Blue does not have any shimmer, but does show sheen. 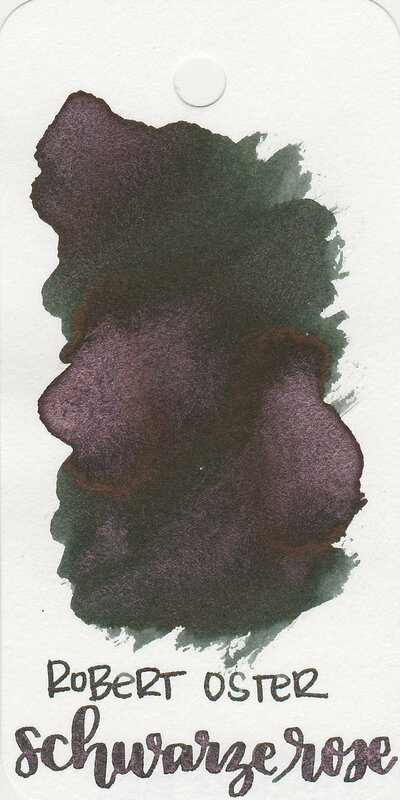 An ink can have both shimmer and sheen, or they can have one or the other, or neither. You can learn more about sheen here. 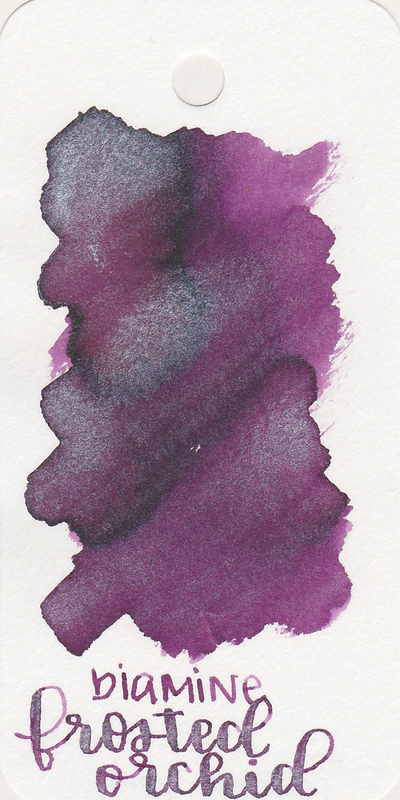 So how do you use shimmer inks? 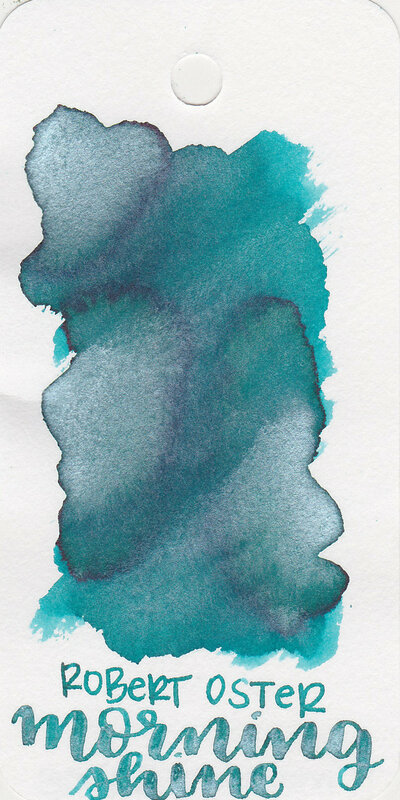 I prefer to use shimmer inks in pens that I can take apart to make cleaning easier. 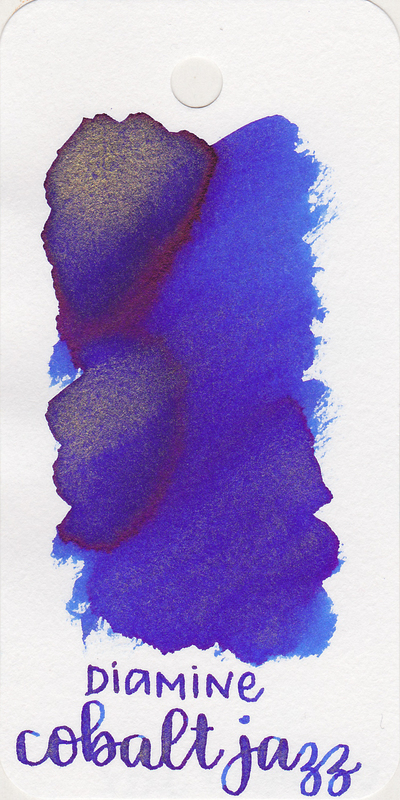 Shimmer inks are great for using in demonstrators, because it's easier to see when the shimmer has fallen out of suspension and needs to be rotated again. Twsbi pens are great for shimmer-easy to see the ink, easy to take apart the pen for cleaning, and not too expensive. 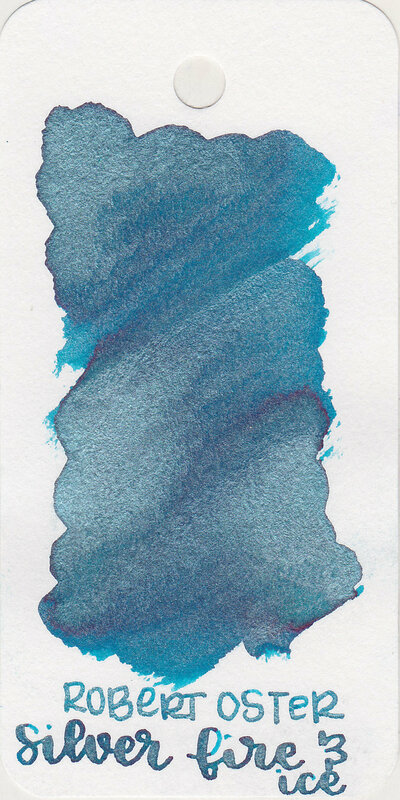 I also use shimmer inks frequently in Lamy Al-stars. The tinted grip section allows you to see if there is still shimmer left in the feed. 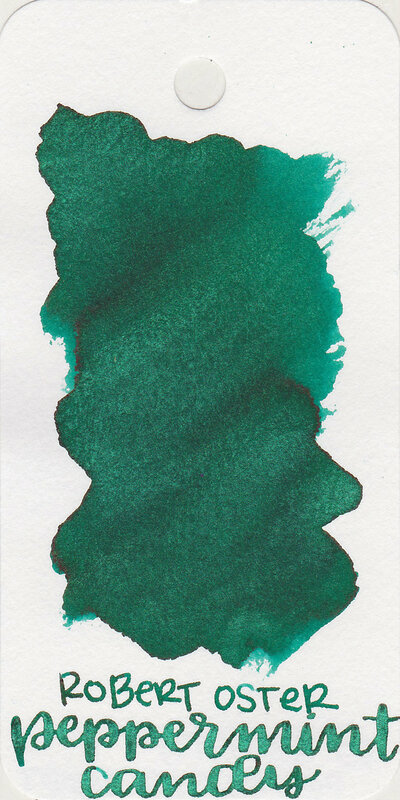 I have noticed that shimmer inks do better in wider nib sizes, especially broad and flex nibs, as they have a larger ink flow and therefore let the shimmer pass through easier. 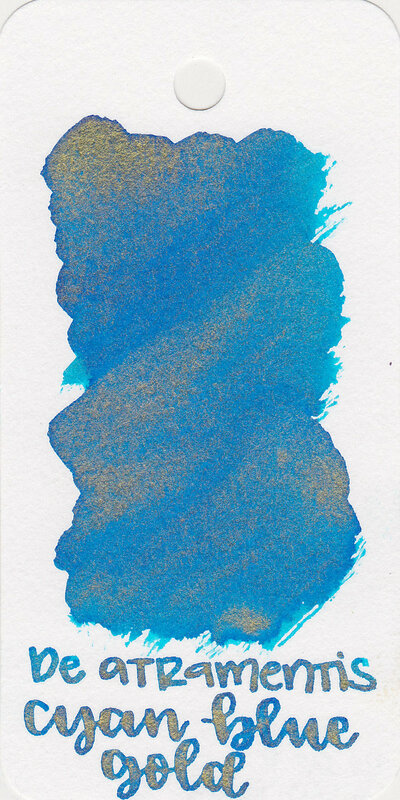 How do you clean shimmer inks? I start by cleaning the pen the same way I clean any fountain pen. I take the converter out if there is one and flush with water. I use a bulb syringe and flush out the nib section. Usually if there is some shimmer left in the feed, I will use a soft toothbrush to remove the shimmer. I have also found ultrasonic cleaners to be useful in removing leftover shimmer. This is the one I use. If you don't get every single last particle of glitter out of the pen-it's okay. Let's face it, shimmer is glitter, and glitter never truly goes away-it hides until you think you've cleaned it all up, but then you mysteriously find more a few months later. It's basically evil. 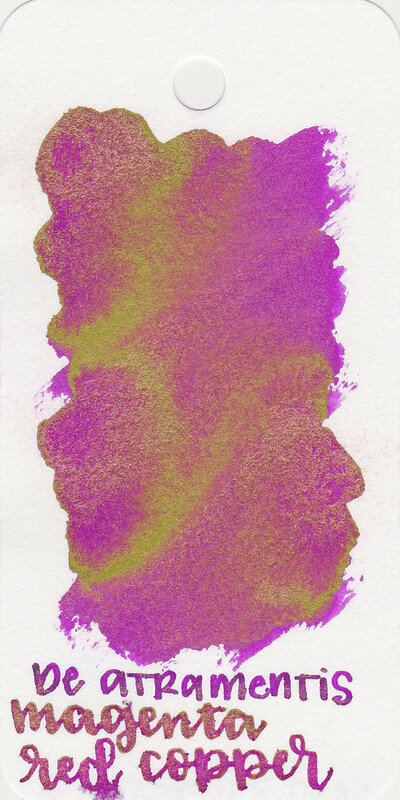 It's not the end of the world if there is a little bit of shimmer left in your pen, the next ink you use in it might just have a random spattering of shimmer here and there. 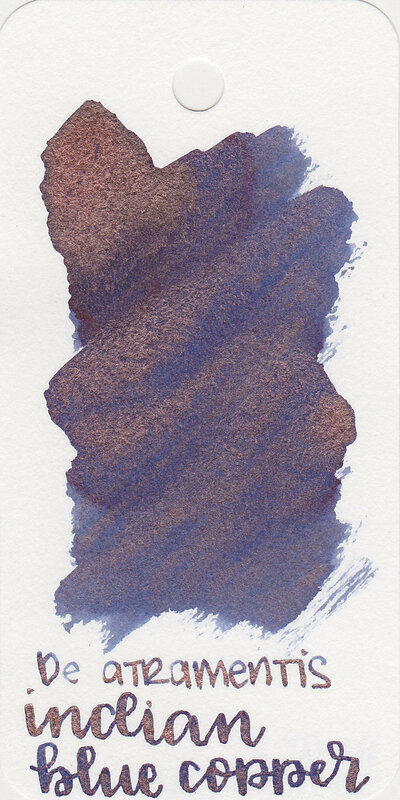 Shimmer comes in different metallic colors, gold, silver, rose gold, copper, bronze, etc, so I have divided the shimmer inks by shimmer color. 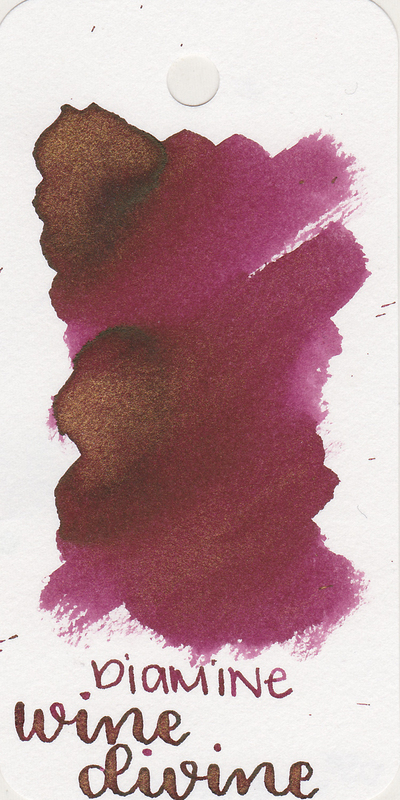 I have included swatches of all the shimmer inks I have reviewed so far. 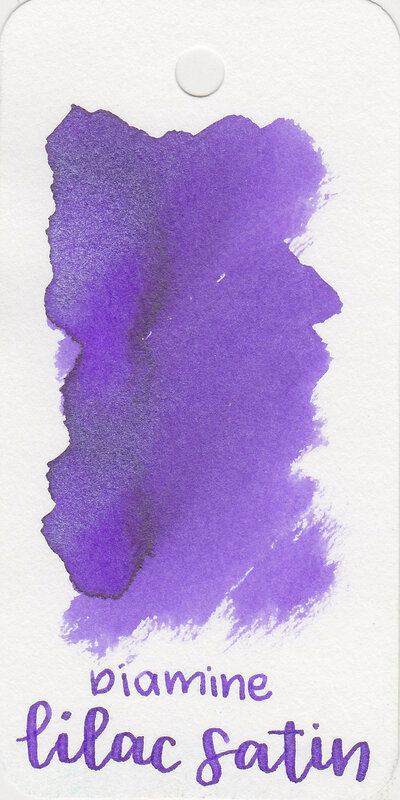 Every time I review a shimmer ink I will update this page. If you click on a swab it will take you to the review of that ink. Disclaimer: All photos and opinions are my own. There are no affiliate links on this page.